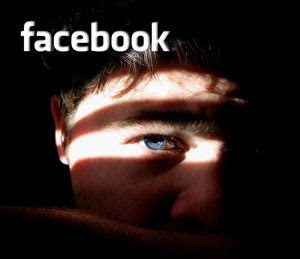 A Day After CEO Is Hacked, Launches New Facebook Security Features ! Immediate effect, users are able to see that come through HTTPS, which essentially creates an instant connection to a secure network unsecured. This will help eliminate the password stolen, while surfing the users of public wireless network, a major contributor to the amount of hacks personal account. Be warned: What do you get into security, you lose speed because sometimes HTTPS can greatly reduce your time to load pages. shift function for your account preferences. The site also will launch a new authorization feature. If it detects suspicious activity on your account, you will be asked to verify your identity with a new "social authenticity test." (For example, if you connect from the U.S. for Australia in the morning and afternoon, will be officially labeled as "suspect.") Instead of entering the "I Yam what I am I" type captcha phrases, this test will be presented with pictures of your friends and ask them to identify, an interesting approach to personal safety. As I said Wednesday it is high time to introduce enhanced security options to protect users, especially if it wants to preserve his body of high-level accounts. It's no secret that the body of a celebrity almost officially adopted the Twitter social network of choice, with hacks on Selena Gomez, Italy, Silvio Berlusconi, and even Zuckerberg himself, of course, piracy is a problem.